We all know how hard it can be to come home and prepare a healthy meal after a stressful day at work. The last thing on your mind is healthy cooking… All you want to do is put your feet up! But the worst thing you can do is go and grab some take-away. If you go for take-away, you usually have a meal that is high in fat, has very low vegetable content, and contains a lot of salt (sodium). If you want to take control over your weight and what you actually take in with your food, nothing is better than cooking a meal yourself. Then you know exactly what you get, and you can pick and choose the ingredients. 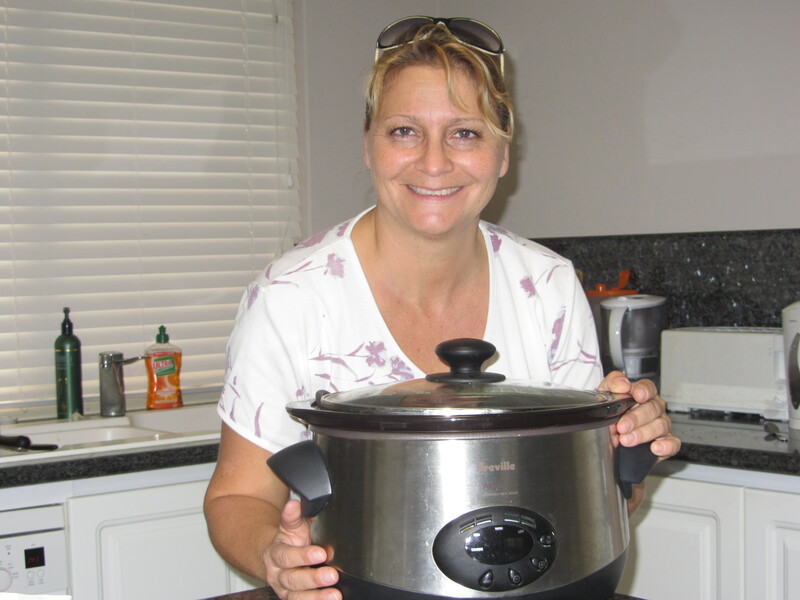 Me and my slow cooker! An easy option to have a healthy home cooked meal in the evenings is the humble slow cooker. You can load a slow cooker with the ingredients you want in the morning, and then have it on for several hours to come home to a perfectly cooked dinner that contains lots of vitamins and nutrients from the foods you put in that the morning. I love my slow cooker. Preparation is so easy and fast, and can be done well in advance, and the meals taste delicious! 2. In large bowl, combine chicken, spinach, feta, dill, and onion flakes. Stir until evenly blended. 3. In another bowl, whisk eggs, milk, and pepper. Stir into chicken mixture. Fold in Bisquick. 4. Pour into slow cooker. Cook for 6 hours on LOW. 5. Remove slow cooker insert and turn out onto wire rack. Cut quiche into 8 wedges and serve. Sounds easy, right? That’s because it is!! I have to admit, I have mostly cooked meaty casseroles in my slow cooker, but this sounds just delicious. Now if I can find something to replace the Bisquick here in Australia (I have never seen it here, but there must be something else! ), then I am ready to try this out. So, no more excuses for fast food after work, get yourself a slow cooker if you haven’t got one already, and start using it! Thanks for this! I will try this one! Well due to my hectic lifestyle I mostly opt for take-away so that all I have to do is eat it while watching a good game of football but now I am able to see the adverse effect of doing so. I have put on more weight and have other health issues also. I really love the recipe that you have given I will surely try it out. It sounds really simple. We all have witnessed the tiredness one feels after a hectic day at office, which makes us prone to having take away meals for dinner. They not only increase the fat and salt intake but also make us vulnerable to obesity. Slow cooker on the other hand provides an option that is indeed more healthy and also provides a sense of happiness of self cooking, making the food all the more delicious. 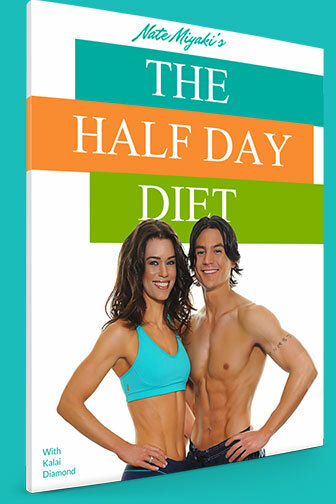 It also gives the flexibility in choosing the nutrition for every day enabling one to follow a diet plan. Is there any cheap slew cookers? they sound interesting. These days they are all not that expensive, you can get quite a few well under the $100 mark. Just have a look at the ones I have displayed in my post! Take away foods are the reason obesity is on the rise. They should be avoided as much as possible. Home cooked meals give you a chance to check how many calories you consume. adding some kind of workout will make you even healthier. Couple of weeks back I read your post & notted down the recipe. I really could make it yesterday & wanted to say thanks & it was really tasty. Hope to see more recipes. Excellent post for all those who care about their family health. Prevention is better than cure. So it is time to switch back to health food. Suman Saurabh´s last blog post ..Gangs of Wasseypur 2 review. Oh indeed every one in the working world or very busy people do tend to just go with the easy way of things, even eating. But this idea is so great, I am willing to try it myself. The recipe looks delicious and healthy at the same time. It’s so quick and easy to include a variety of flavours and textures, leave it on overnight or during the day and wake up to or get home to a fantastic meal. No need for takeaway junk! 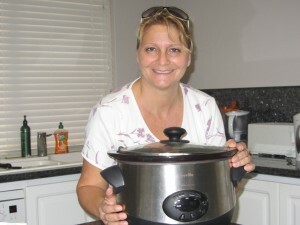 i agree with you that slow cooker is really cool for cooking delicious nutritious foods , and also if we are too busy. Aniee, thanks for your thumbs up! Thank you for the recipe. However, is there a way to adjust this recipe for those who are lactose intolerant? To be honest, I don’t know, but I am sure there are ways to have a dinner like this for people who are lactose intolerant. The tiredness that you feel after a long day at work can result in two things. One is that you are too tired to cook so you get take-out food. The second thing that people do is skip dinner altogether. This leads to indigestion, incomplete sleep etc. The consequence is that you feel lazy in office next day and indigestion makes you feel sick. Instead, getting a slow cooker will result in you not having to spend time cooking after getting home from work and you will also eat healthy food. Cooking on work days can be really tiresome. People often tend to skip meals. It seems futile to cook just for one person. Wouldn’t it be easier to have take-out? But we do not realise that we hurt our body in the long run. The slow cooker seems like the perfect solution to our unhealthy eating habits. Put your food to cook slowly before you leave for work and come home in the evening to a delicious and healthy meal. James, that’s exactly the point! Very nice website you have built here! I really mean that. I have taught myself everything I know about working online. From typing, to site creation and than Internet Marketing, which is a vast subject. The only thing that I can attribute my success up until this point is that I truly enjoy this. I mean I thoroughly enjoy it. I know I strayed from the topic, sorry. I have a site in the same niche. 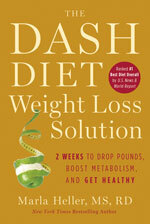 I have been dieting myself, and for a 57 year old single man, that’s not always that easy! Believe it or not, I have been waiting until around 11 or 11:30am before I eat. I eat vanilla lowfat yogurt with cherrio’s mixed in, with fresh sliced strawberries and blueberries and than I add some super whey protein powder/vanilla flavored an I give it a good mixing! Wow, I eat whatever I want for dinner, and that’s it! I have lost 9 pounds in about a month and a half. But, I have tons of energy! I take several walks daily, brisk walks for at least 20 minutes! Hi David, thanks for sharing your story with us! Your weight loss is great! Congratulations, and your low fat vanilla yogurt with fresh fruit and whey protein sounds delicious! I tried your recipe and it was delicious. Also, so much of my time and effort was saved. I did not have to bother about cooking at all when I got home. Living alone doesn’t seem like a bother anymore. I’m going to try out more variations and keep you posted. Thanks for this awesome tip. I’m actually new to this. I have just finished school (3 months ago) and went straight into work at Schroders. Obviously, being at school I had everything provided for me. Going to Schroders….wow, organisation required! I was absolutly useless at preparing lunches before and always ended up buying them in town. This is let alone after getting back from work. Thanks for this post, Ill certainly try to take this on board haha, actually stay healthy rather than just buying takeaways! [email protected] UK´s last blog post ..Will organic food aid my weight loss? Never knew this existed aswell, sounds very practical! Really awesome post. There is no excuse to not eating well. This is one of the main reasons why i love my rice maker. I put some rice in the morning before I leave for the day and when I come back at night it’s still warm and ready to eat! Its an awesome post.I always prefer having fast food but there are so many ill effects of doing so and that’s why it is most important to have a meal prepared at home.It can get a bit frustrating when your tired from work and then you have to prepare something in this state .This article has given vital tips to prepare a healthy meal after a stressfull day of outside work. hey that’s a really great idea that u suggested about using a slow cooker… it would be wonderful to have delicious and nutritious food after a tiring day with your family… and if food is bought from out it would not be healthy as well as we cant serve our family with the delicious that we make for them…. Great recipe! We love our slow cooker too! I like the combo of chicken and spinach. When I was a kid, I hated spinach, regardless of what Popeye said. But now, I have learned to love it. Another reason I like this recipe is that it has foods rich in nitric oxide. It is amazing all of the health benefits that come from that little molecule! That recipe sounds tasty, but i have always been a bit unsure about using slow cookers. I know a few people that swear by them but i have this thing about leaving them on while i’m out at work all day. However, It does appeal to me being able to prepare meals in advance that will keep me on track with trying to lose weight and have them ready when i get home, so think i’ll have to bite the bullets and buy one and get over my anxiety about leaving it on all day. Hi, Petra thanks for the advice i’m definitely going to invest in one and give it a go. I assume that they have a cut off point then? thats good to know because with my job if things go wrong I don’t know what time i’ll be home, so I wouldn’t have to worry too much. I really think this will help me stay on track with my weight loss program knowing that a cooked meal is waiting for me when I get home. Can you recommend any good makes of slow cooker and best places to buy them? Andy, they do have a cut off point – basically they cook for the amount of hours you program in, and after that they just “keep warm” for a few hours. I find it super easy to cook with the slow cooker, and usually the food turns out to be really ok, even if you just put a medley of things in it 🙂 I quite often don’t follow a recipe but just throw in some meat, vegies, a can of crushed tomatoes or two, some red wine (yum!) and some seasoning… the stewing of all the ingredients together gives it already a really nice flavor.